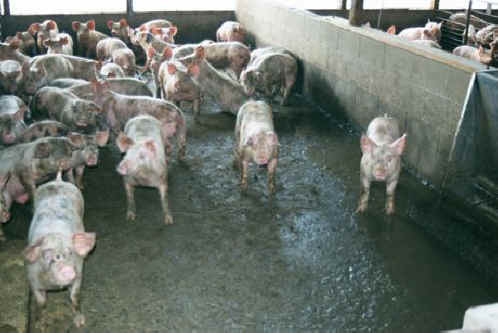 (Pig Exploitation - Factory Farming - 19) The only way we could possibly begin to feel what these pigs are forced to suffer is to imagine ourselves in their position. We would be confined in a pen with twenty-five or so other people, and no toilet facilities. We would be forced to urinate and defecate on the floor. Soon there would be no clean space, and we would be forced to lie down in each other's poop and pee. This would go on for months.